Dr. Alison Tam is a board certified Dermatologist who specializes in the field of cosmetic dermatology and laser therapy. Dr. Tam currently is a fellow of both the American Osteopathic College of Dermatology and the American Academy of Dermatology. Dr. Tam attended medical school at Western University of Health Sciences in Pomona, California and graduated in 2001. A traditional internship and her first residency in Family Medicine was done at Midwestern University-Mesa General Hospital. During her training, she was chosen to serve as the Chief Resident of the Family Medicine Residency. After finishing a Family Medicine Residency in 2004, Dr. Alison Tam finished a second residency in Dermatology at Midwestern University in 2007. Dr. Tam served as Chief Resident of the Dermatology Residency. Upon finishing residency, Dr. Tam passed board certifications for the American Osteopathic Board of Dermatology and the American Society of Mohs Surgery. Dr. Alison Tam currently holds medical licenses with the Nevada Board of Osteopathic Medicine, Arizona Board of Osteopathic Examiners in Medicine and Surgery, and the Osteopathic Medical Board of California. Other active licenses include the Nevada State Board of Pharmacy and the United States Department of Justice Drug Enforcement Agency. Active affiliations include the American Academy of Dermatology, American Osteopathic College of Dermatology, American Osteopathic Association, and American Society of Mohs Surgery. Dr. Tam was awarded the “Top Beauty Expert” Award in 2013, 2014, and 2015 by New Beauty. Dr. Tam has sat on multiple Advisory Board Committees, spoken at conferences about laser therapy, served as a test writer for the American Board of Osteopathic Dermatology, and recently co-authored and published an article. 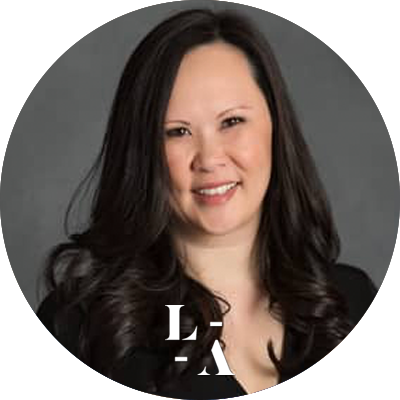 Currently, Dr. Alison Tam practices in Las Vegas, Nevada and serves as Medical Director at Laser Away Las Vegas. Most of her free time is devoted to her husband, child, and extended family and friends.